And I was searching a Working hack for Tata Docomo. And finally, I got a working recharge hack for Docomo. I tested it and it works fine in Kerala and TamilNadu. Dont blame if not works. But I guarantee that you dont waste your money, either you can hack the recharge or you will be costed as per OLD PLAN !!! Anyway, if you don't understand, leave it and read below carefully.. If you active any of these packs, you will get free usage as per OLD internet packs. That means if you activate Rs .15 - 500MB pack, you will get 7 days validity instead of 5 !!! You can see a message "You have been charged RS.15 for Activating Internet Pack"
Wait, now go and check ur balance. Happy?? Ya, only Rs.6 deducted. What a hack. Dont blame me if it not works for you. Anyway, it works fine for me. Even if you are charged Rs.15 for that, you wll get 7 days validity as per old pan. Ya, even this hack don't work, this is better than doing a coupon recharge of 15. Please leave comments and let me know whether it works for you. Anyway, dont forget to say thanks to the FOUNDER! states. but still worlking on some other states. try this me and my frnd are also socked!!!!!!! when will Tata Docomo 4G be released? 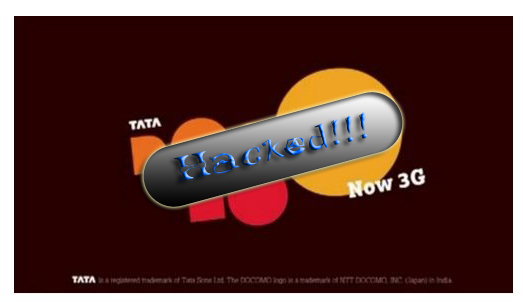 & What is the Tata Docomo Recharge For 4G?